Glide Bikes is helping people with special needs live life to the fullest! Up until this point, there have been few bicycles which cater specifically to those with special needs. This is clearly a problem. When children with special needs see other kids riding around on their bicycles, they may feel left out. A simple Google search illustrates how limited the options are for special needs kids who want to learn how to ride a bike. Instead of actually riding a bike, companies seem to want people with special needs to tag along behind the family, in special needs bike trailers. Meanwhile, similar companies offer basic tricycle models which prevent the child with special needs from learning how to balance and cycle properly. 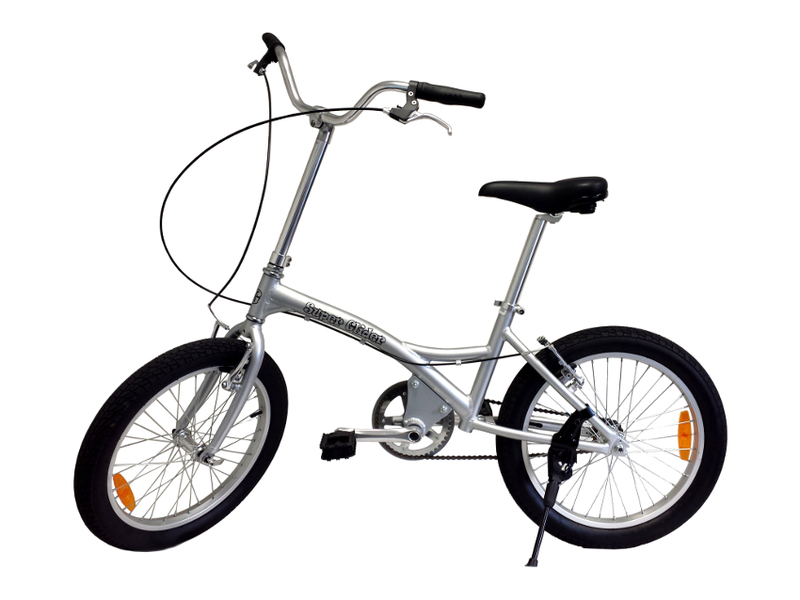 In fact, it’s nearly impossible to find a special needs bike that even looks like a real bike. This will leave those with special needs feeling even more out-of-place among their peers. Glide Bikes has developed a solution to this problem. Our special balance bike technology allows children of all needs and skill levels to quickly and easily learn how to ride a bike. Designed with patented slow-speed, mountain bike geometry, Glide Bikes balance bikes are specifically designed to promote balance as the first step in learning to ride a bicycle, not the last. The low center of gravity and ease-of-use has shown kids around the world exactly how easy it is to ride a bike, and the best part about Glide Bikes balance bikes? They run on two wheels! While it may seem like the child is jumping right into the learning process, this is not an intimidating step for him to take. Falls are easily preventable, as the child only has to place both feet onto the ground to regain control. Due to the low seat, the ground is never more than a few inches away. Instead of making a sudden jump from training wheels to a proper bike, the child can make a smaller, easier step whenever he or she feels ready. For this reason, Glide Bikes balance bikes are quickly becoming the preferred way to teach children with special needs how to ride bikes. Youth and adults with special needs! With Glide Bikes’ newest model, called the “Super Glider,” they are also catering to older youth and adults with special needs. The bike still maintains its patented technology, which features a low center of gravity and an easy learning system, but it’s designed for larger riders. This comes with several benefits including the fact that the Super Glider has pedals, chains, and brakes. For all intents and purposes, it’s a fully-functioning bike. Meanwhile, the easy-learning features, like a low center of gravity and slow balancing speed, are still present. The Super Glider is a training bike in disguise: special needs youth who have never ridden a bike in their lives will be able to quickly start gliding around. All of these features add up to mean that youth and adults with special needs can fit in seamlessly alongside anybody they’re riding with. There are few things more fulfilling than seeing the smile on the face of somebody with special needs as they learn how to ride a bike.